We love baking in our house, my kids run to the kitchen as soon as I ask if they want to bake. We have some family favourite recipes that we make a lot but we also like trying new things. There is a basic cookie recipe that Annabel Karmel uses in some of her books and which I have found in a couple of other places on the internet that just uses flour, egg yolk, caster sugar, butter and vanilla essence so I thought we would try it. Here is the recipe – basic cookie recipe. We made our mixture, rolled it in cling foil and left it in the fridge for 30 mins and then the real fun began. We sprinkled flour on our kitchen table and the kids got to roll out the cookie dough and use cutters to make shapes. 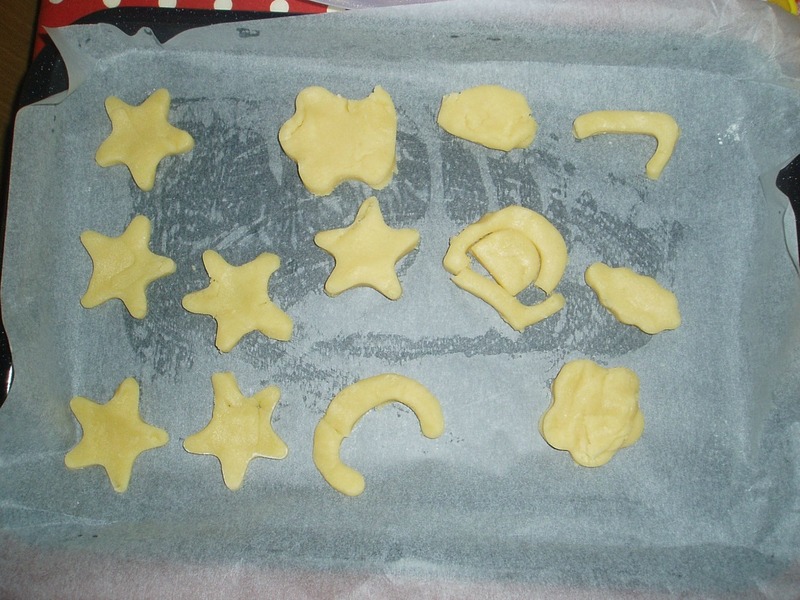 I actually especially bought some alphabet cutters for them to use (but they turned out rubbish for little hands) so we ended up using some good old Tesco shape cookie cutters. Both kids really enjoyed this and it is a really good activity for strengthening little hands. And they made a lot. 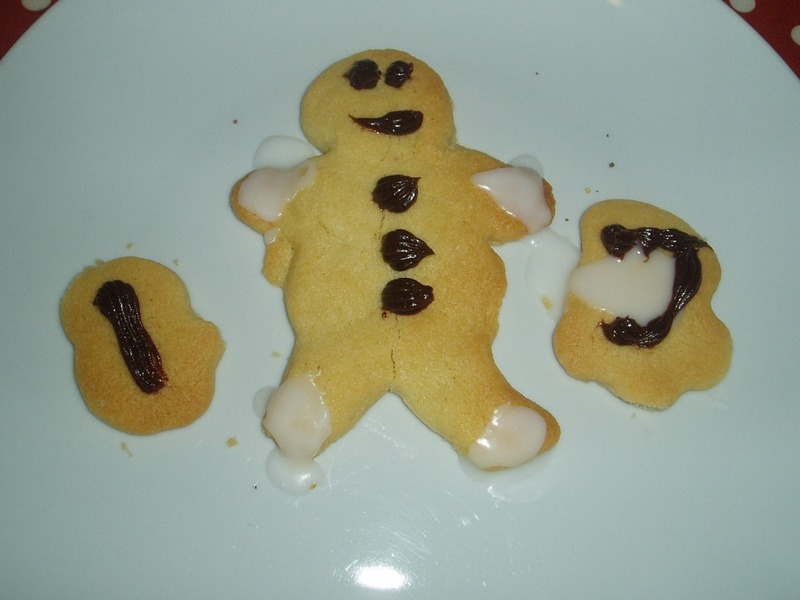 After baking for around 20 minutes we got ours out let them cool and then stage 2 of the fun started again – we decorated them. 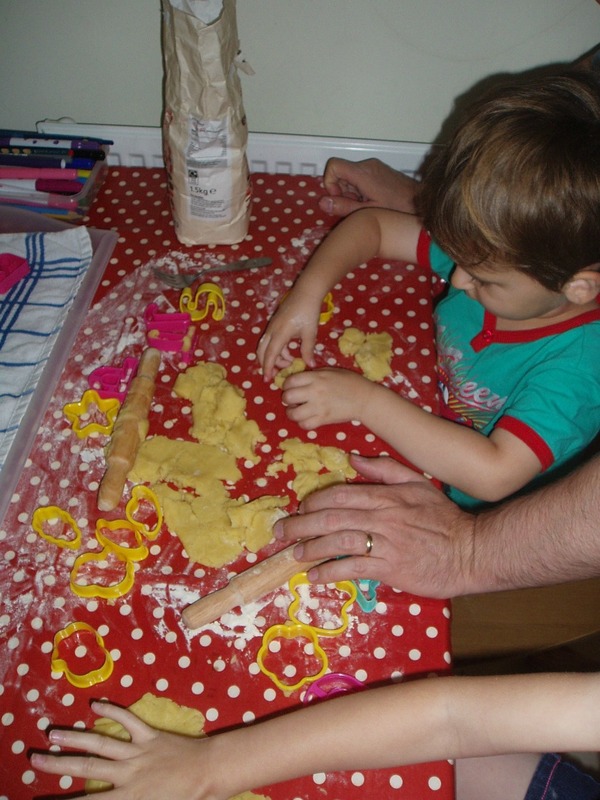 We used icing, sprinkles and some other treasures out of our kitchen cupboard. Unfortunately this is when the memory card on my camera decided to die and corrupt my photos – very sad as there where some cute cookies – guess it just means we will have to do this again soon so I can take photos. Yes we made a mess, I ended up covered in flour but both the kids had a blast and we got to do some important hand strengthening which is so important for writing. 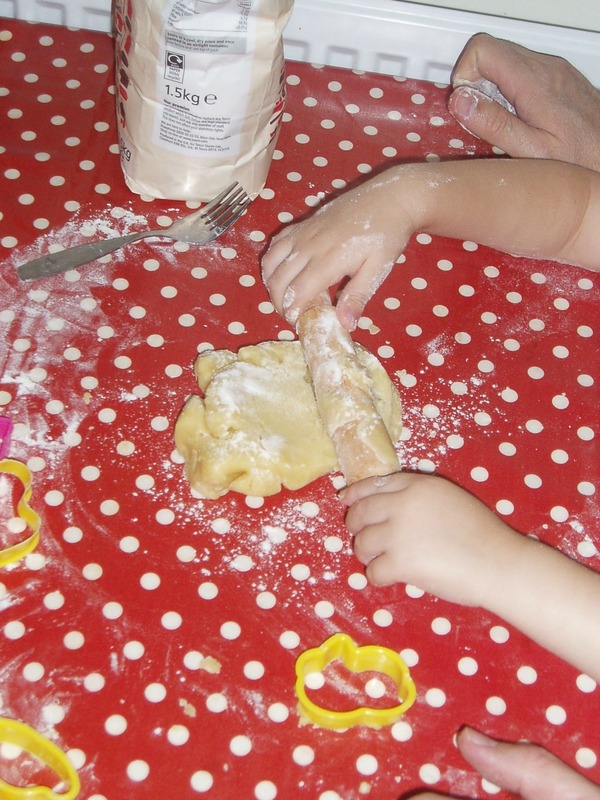 This entry was posted in Baking with Kids, Homeschooling and tagged cookie dough, home ed, homeschooling, kids baking, sensory play. Bookmark the permalink.